RANLife Inc. : Is a Fixer-Upper Right for You? Sounds appealing, right? Spend less money on a “fixer-upper” home purchase, put a little time and elbow grease into it, then either have the home of your dreams for less or sell it for a great gain. Well, this is not always the case. 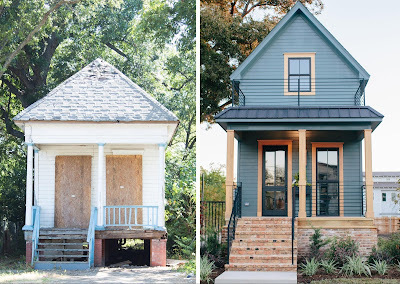 It is wise to read up on the market and know what you are getting yourself into before you make the decision to purchase a “fixer-upper” home. The below tips can be quite useful for this decision. 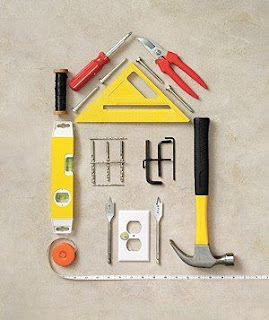 You will need to determine the costs associated with buying and repairing a property needing upgrades. Make sure it fits into your budget and overall financial plans. Complete a thorough property tour, then find out the estimated costs required to renovate the home. Don’t be conservative. And, be sure to include the hard costs for materials and any labor needed (HVAC, plumbing, electrical, etc.) Next, add the total renovation costs to the home's current listing price. Your real estate Agent can help gather relevant market comparables to ensure the home is priced fairly. The total of the current market value plus the renovation costs will be the full cost to you to both purchase the home and complete renovation work. Once you find a home and put in an offer, It is essential to complete an inspection on the home. The inspector will document any serious problems that are visible during a typical home tour, and will provide a detailed report on the findings. If the house needs significant structural improvements, you may consider avoiding the purchase altogether. Most major repairs can be quite costly and hardly ever raise the value of the house enough to offset the cost of the renovation work. The ideal fixer-upper home is one that requires mostly cosmetic improvements. Minor repairs typically have an overall low cost with a greater selling profit once complete. Major additions or renovations are considered a step above common cosmetic improvements. These are usually needed to bring the house current with the market comparables and allow the home to sell under current market conditions. For maximum resale value, remodeling investments should not raise the value of your house more than 15% above the median sale price of other houses in your area, according to the National Association of Home Builders. If you are planning for any major renovation work, take the opportunity to add in any enhancements that can add value. Some cosmetic improvements can easily and affordably be added into structural repairs. DIY home repair is quite popular and common these days. With the help of YouTube videos and Facebook recommendation posts, finding local sources and self-guided how-to videos is all too easy. Doing some of the work yourself can be a great cost-saving measure. Be sure you are skilled in the repair work you are doing yourself. Mistakes can be costly and create additional delays in the overall project. When hiring contractors, be sure to seek trusted recommendations and work with licensed professionals who will back their work. Your real estate Agent will also have several preferred businesses and local repair contacts to refer to you. Read this related post about DIY home repairs. When the market prices are rising or have peaked, a fixer-upper house may be too expensive an investment. It is obviously best to purchase a fixer-upper during a “buyer’s market” when prices are dropping. Additionally, major renovation work can take weeks or even months to complete. After the renovation investment, if the market is down, you may not recover your costs. All investments come with a certain level or risk, and no one can truly predict how the real estate market will turn out, but there are reliable market indicators. A reliable real estate Agent is a great resource with current information. Your Agent can help guide you on timing and recommendations for a fixer-upper home purchase. One of the biggest hindrances to purchasing a fixer-upper is paying for the renovation work. For some, the initial purchase of the home leaves them without the extra money to start or complete the renovations. While credit is always an option, we advise avoiding this avenue and planning ahead to factor both the costs of the initial purchase as well as the estimated renovation costs. Your Lender can help in crunching these numbers and making you aware of all lending costs associated with the purchase. Your Lender will also help look through your finances and discuss options to help with the costs of the purchase and renovation work.